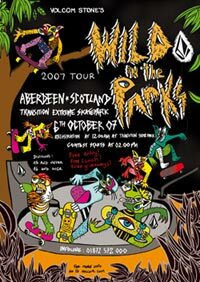 Volcom Stone’s ‘Wild in the Parks’ tour comp at Transition Skatepark in Aberdeen on Saturday 6th October. Free entry, free lunch, free giveaways! The comp is in two divisions, 15 & under and 16 & over. 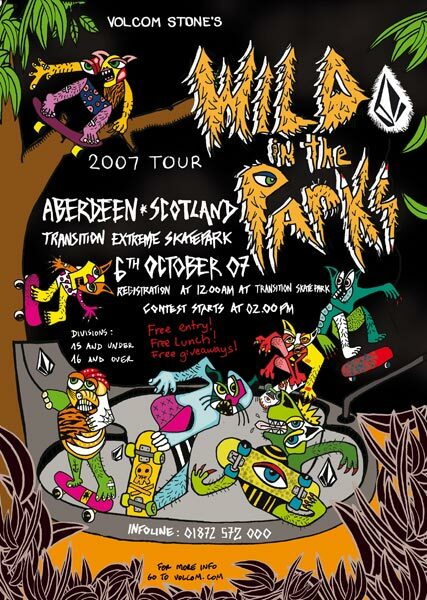 Registration is at 12noon, comp starts at 2pm.